Hulhumale (pronounced as Hulhumale') is a reclaimed island near Male', the capital of Maldives. Regular ferries are operated between Male' and Hulhumale. For convenience of travelers Airport Taxi and Airport Bus transfer is available between airport and Hulhumale. There are many hotels, restaurants in Hulhumale and its much cheaper than staying in capital Male'. Hulhumale' is ideal for tourists who arrive Maldives at night and require an overnight stay near airport before going to resort the next day. 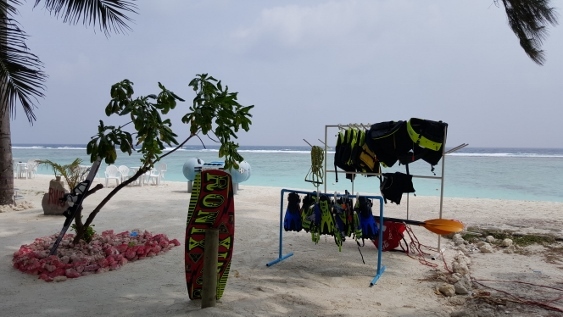 It is also the ideal place for travelers visiting friends and relatives, for business or just to spend a fantastic holiday in Maldives in a more economical way. 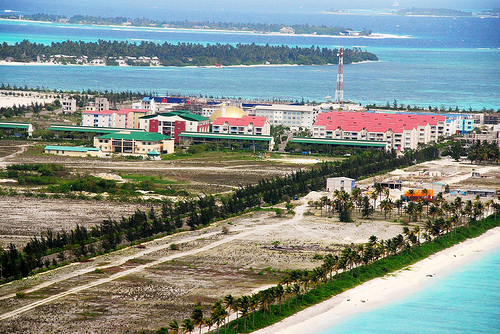 Small hotels and guesthouses offer room-only accommodation in Hulhumale, often close to beach and restaurants. Not all these small hotels run their own restaurant and the trend is that you go out for meals. 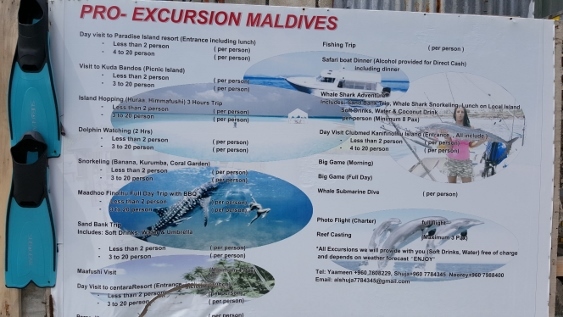 In Maldives the islands are so small that every place is in walking distance, but for convenience other modes of transportation are available at ease. 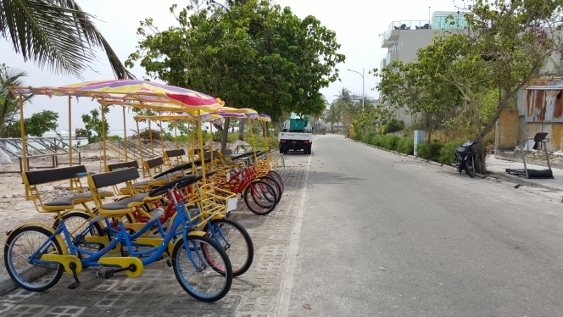 Visitors staying in Hulhumale might need taxi to go Male Ferry Terminal and definitely to go airport, everything else is in walking distance and restaurants are in easy walking distance from hotels. There is a collection of over 40 hotels in Hulhumale compiled by Maldives Finest. 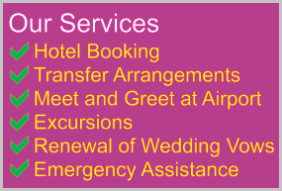 Email, website and telephone is provided to each hotel for you to book direct. It would be a good idea to compare hotels and go through reviews and pick the best that fits your budget. In general Hulhumale' is a destination of small hotels that offer clean and fresh rooms, pricing is very good and it is real value for money. Before booking a hotel you may also want to check on the dining options as well. But, it is not of a too much concern as restaurants are plenty in town and you can always find one in walking distance. 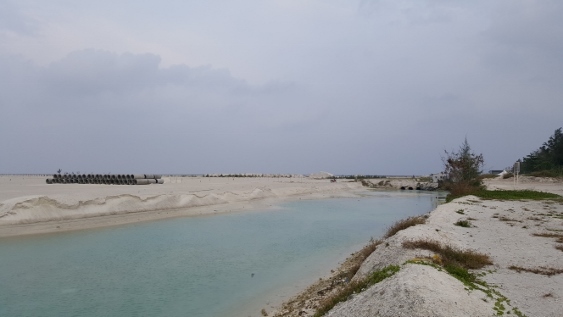 In 2015 HDC reclaimed another large as Hulhumale' Phase 2 which is almost of the size of currently inhabited land. Housing and infra-structure plans are underway and it will take few years to complete. 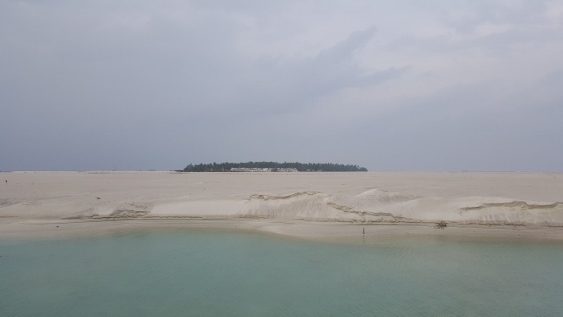 Once done this could be the most densely populated island in the Maldives. Current it is capital Male' which is home to some 150,000 residents of which many are foreign workers. 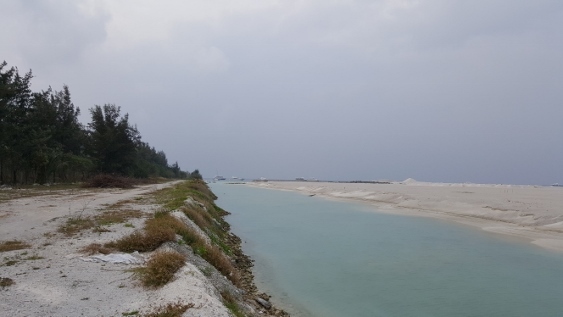 Between Hulhumale-1 and Hulhumale-2 this channel takes care of flow of water between two land mass. This brings clear water from open ocean into inner atoll. Stagnant water is often not clear and lead to growth of sea grass. You can see pipes and other construction equipment are on the site. It seems more pipes will be buried to enable flow of water. Hulhumale' Dhigga Magu, otherwise known as beach road, is an active place in the day time. There are many water sports and dive shops around. There is one rule to find one, just take a walk down and it won't take long before you spot ads or watersports equipments. These activities are mostly targeted to tourists. If you want you can check out prices in other places before taking to the sea. 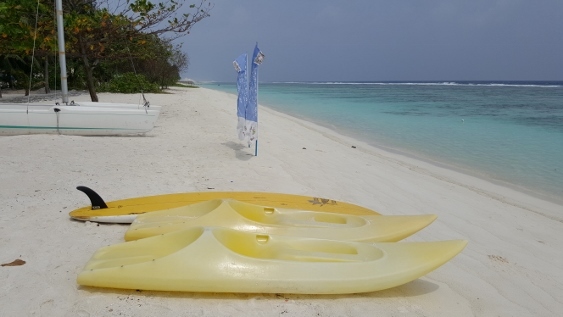 Variety of water sports offered at Hulhumale' includes canoe, padding, katamaran, jetskii, fun bed etc. If you have something else on your mind be sure to ask and they might even arrange it specially for you as locals are often in high spirit to serve. These bikes made it to Maldives all the way from China. Its hard to find people riding them, most of the time they are just waiting aside but it looks nice for a tourism area. I think it would be fun to ride them and explore beauty of the Hulhumale', of cause if you got enough time for that. I would recommend 2 hours on this. Every now and then you could stop at different places, buy some ice cream or enjoy some drinks on the way. You don't have to on a hurry as these bikes don't cost much to hire. It is the most cost effective way to experience Hulhumale. 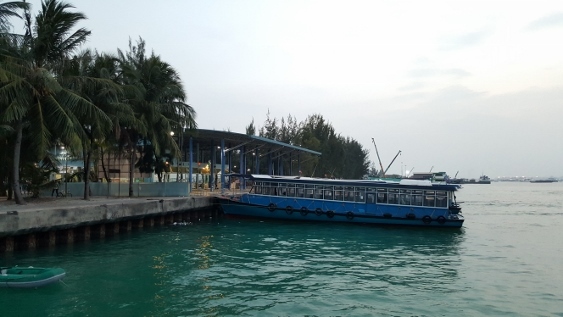 Regular ferries are operated between Hulhumale and capital Male'. Except mid night, there is a ferry every 30 minutes. There is only one ferry terminal which is this one on the picture, so you can't get mistaken. 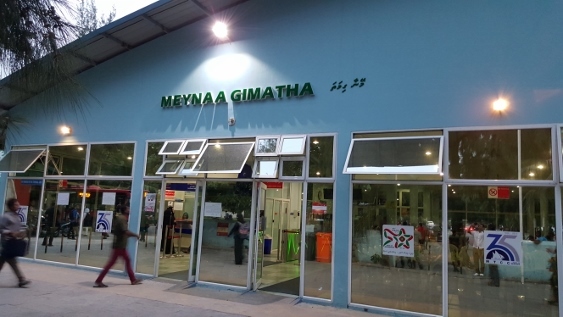 When you are in Male' there are two ferry terminals. If you are taking a taxi make sure you tell the driver to which island you want to go. I have seem tourists quite often end in wrong terminal. You are reading this now, so you can avoid being mistaken. This is the ferry boat used in Maldives. It takes about 20 minutes each way between Male' and Hulhumale'. Take a window seat if you want some fresh air, boats are not air conditioned. If window seats are occupied the one next to entrance is better.